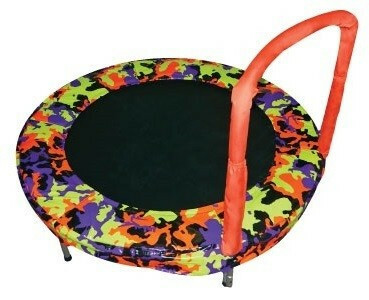 Jumpking 48” bouncer will keep your child entertained while they bounce and receive exercise. This bouncer includes an adjustable handrail, safety pad and strong frame, rest assure this bouncer will keep your child safe while they play. This bouncer is perfect for improving their balance, coordination and motor skills.